We use the most advanced machines in the milling department which in combination with a CAM system SolidCAM allows us to utilize the advantages of high speed machining and obtain high productivity and milling quality. Dedicated for accurate, high-speed machining of shaped complicated surfaces, drilling, out drilling and thread cutting. Automatic tool change in the cartridge allows us to work in an automatic cycle. Compound table and headstock movement can be used at the same time. The machine is equipped with an air intake and a cooling liquid running through the center of the headstock which definitely raises production productivity. 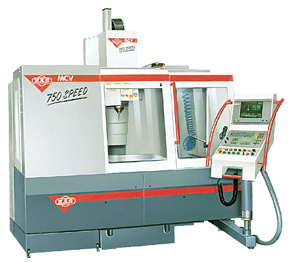 A console milling machine with a fixed headstock with a coherent number of controlled moves on axis X,Y,Z. 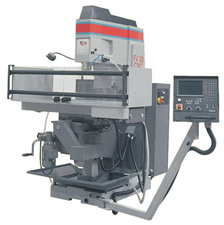 We use it for the milling of complicated tools, such as mold parts for plastic injection and electrodes for EDM. We use a CNC Electric Discharge Machining Unit CHARMILLES ROBOFORM 350 in EDM department which together with a clamping system EROWA (allows us to obtain an accurately defined position of the electrode from its production to EDM itself). 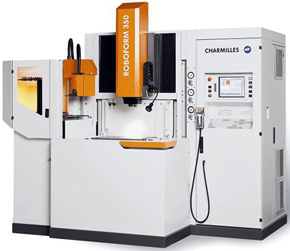 The Electric Discharge Machine CHARMILLES ROBOFORM 350 is able to solve complex assignments. This unit allows planet eroding and C axis rotation. The Machine is equipped with special options for burning apertures and a cartridge for electrodes. It is used for deepening complicated parts of the molds for a plastic injection. We partner with trusted companies for the EDM wire-cutting of metal. We perform assembly, tool galvanization, finishing of mold inserts and mirror polishing. 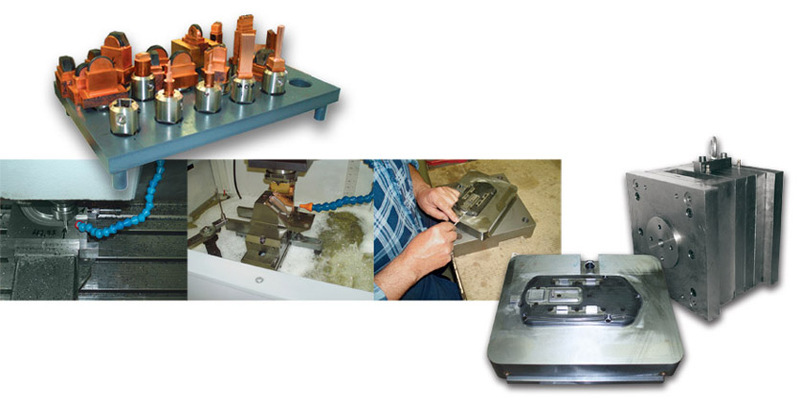 We test our molds in-house using a high quality ARBURG injection mold machine which guarantees repeated presswork quality. 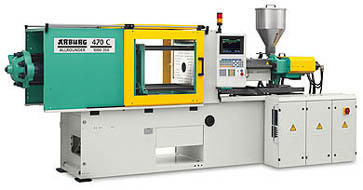 A reliable universal mold injection machine suitable for wide variety of work (including glass filled materials). Machine handling is very fast and intuitive thanks to transparent display of all production processes.